The picture perfect place to call home. 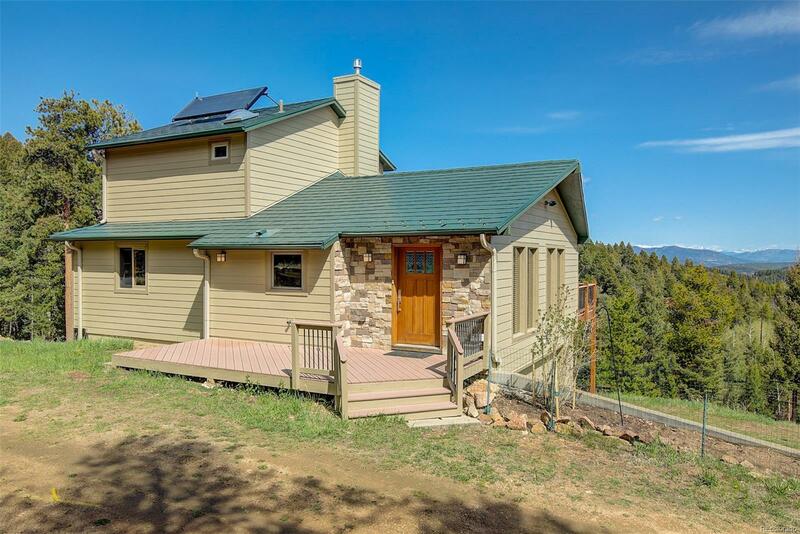 Everyone wants to find a home that backs to public land, has dramatic snow-capped views, vaulted ceilings, gleaming wood floors, a huge deck, stainless steel appliances, natural gas, along with recent updates and finishes. Sounds a little far-fetched, doesnât it? You have to come see this lovingly maintained home in sought after Conifer Meadows. Be quick. A home that âchecks all of the boxesâ like this one, wonât last long in todayâs market. Don't miss the drone video by clicking the film reel under the photos! *DSL CenturyLink internet (CenturyLink says up to 7Mbps available). *Backs up to Beaver Ranch Park. *2' X 6' construction, cement board siding, metal shingle roof. *Terrestrial HDTV over the air antenna channel unit stays with home. *New Hydro-solar for solar assisted electric hot water heater. Selling Agent: Dennis Schultz Jr.